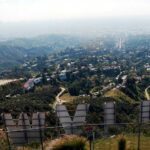 One of the most iconic symbols of Southern California, the Hollywood Sign, is also very accessible and should be a go to destination at least once during your time in California. 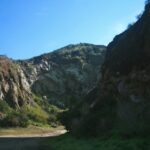 The hike is easy enough that any member of the family can do it, but still difficult enough to get your heart rate pumping and your blood flowing. 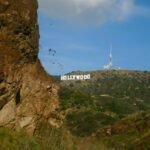 Once you make it to the Hollywood Sign you will see a unique view of LA that is unlike most other views as you see the Hollywood Sign with LA behind it instead of vice versa. 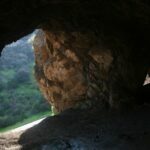 Bundle this with the Bronson Caves, the Batcave from 60’s TV lore, and you will have made a full day of experiencing the essence of Hollywood nostalgia. 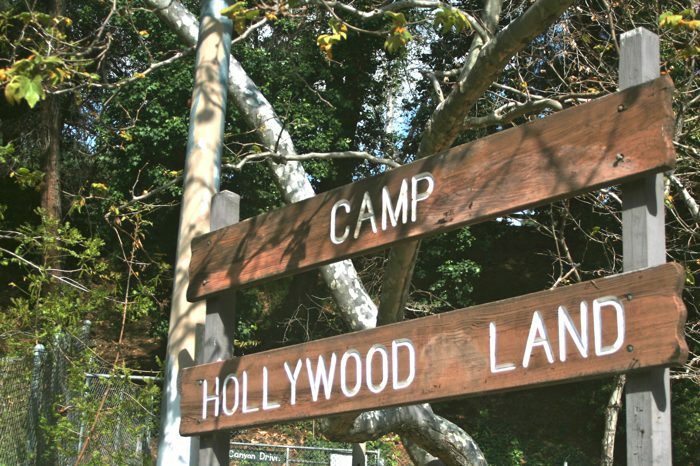 The sign was first erected in 1923 and originally read “HOLLYWOODLAND”. 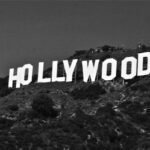 Its purpose was to advertise the name of a new housing development in the hills above the Hollywood district of Los Angeles. 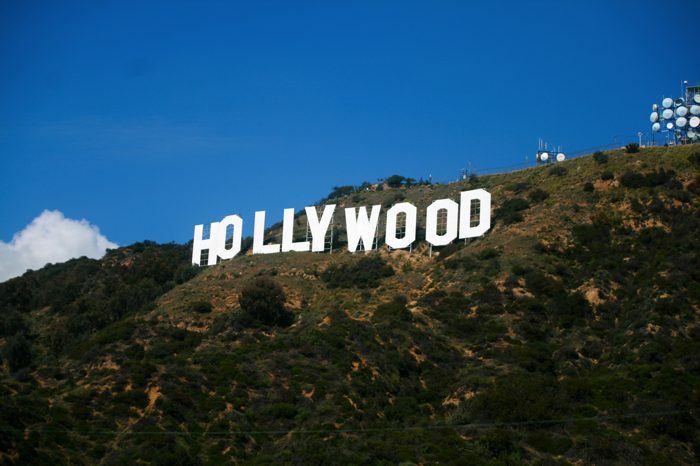 Each letter of the sign was 30 feet (9.1 m) wide and 50 feet (15 m) high, and the whole sign was studded with some 4,000 light bulbs. 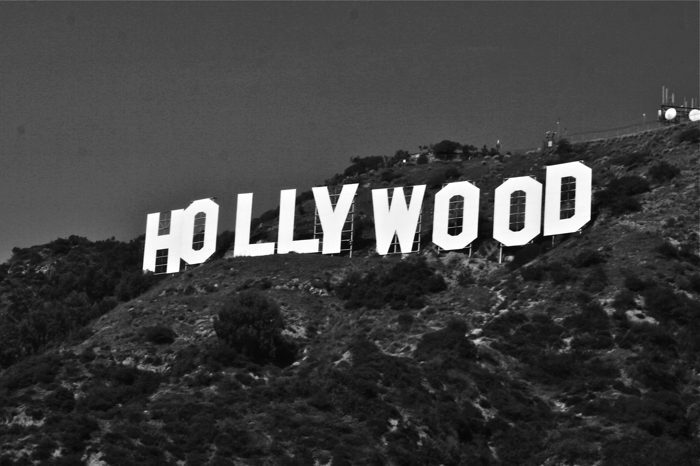 The sign was officially dedicated on July 13, 1923. It was not intended to be permanent. 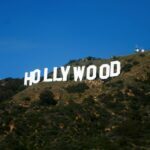 Restoration company Bay Cal Painting says on its website that the expected life was to be about a year and a half, but after the rise of the American cinema in Los Angeles it became an internationally recognized symbol, and was left there. 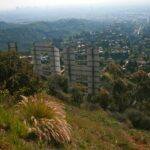 In 1949 the Hollywood Chamber of Commerce began a contract with the City of Los Angeles Parks Department to repair and rebuild the sign. 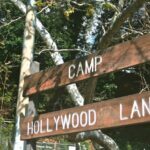 The contract stipulated that “LAND” be removed to spell “Hollywood” and reflect the district, not the “Hollywoodland” housing development. 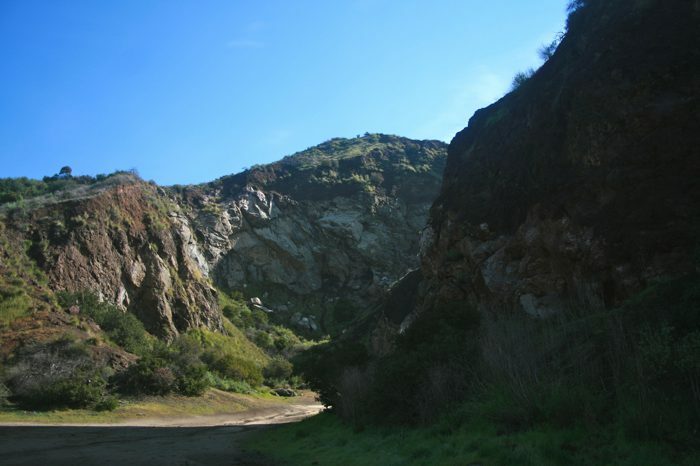 When you park at the bottom of Bronson Canyon Park near Camp Hollywoodland, you are literally less than a half mile from the Bronson caves. 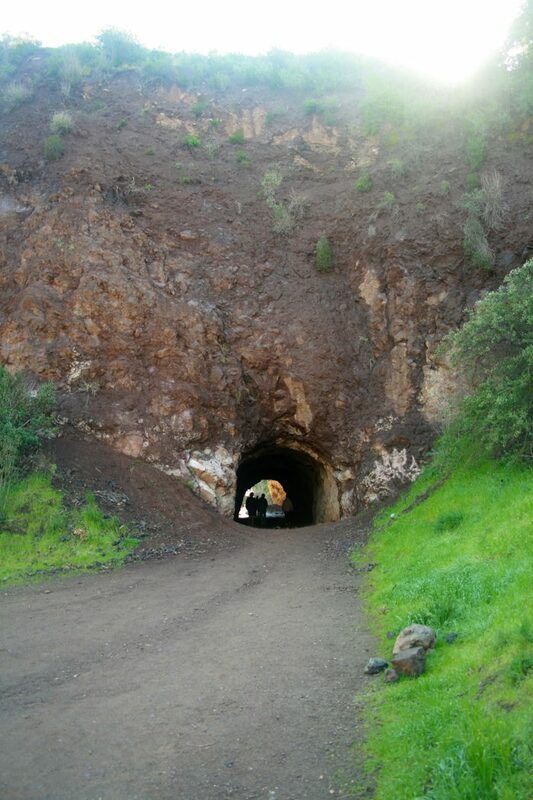 Simply proceed up the road, take the first right and climb the hill to the caves. 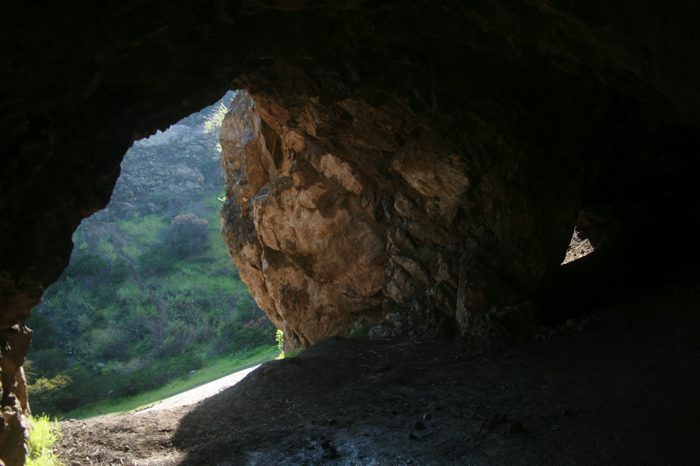 These man-made caves harken to a time in the past when Hollywood was coming of age and Batman had one liners instead of dark battles. 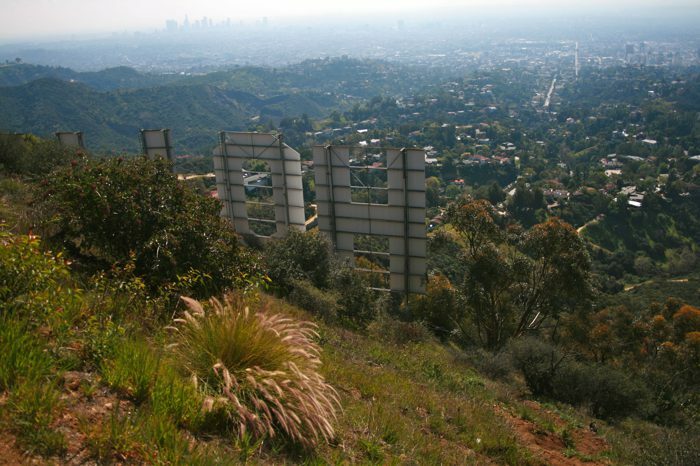 It also has great views of the end goal of this hike, the Hollywood Sign. 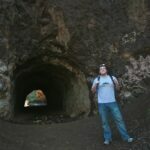 I love all things Batman, so I was excited to walk through the caves, snap a couple of pictures, then proceed on. From here the hike starts. 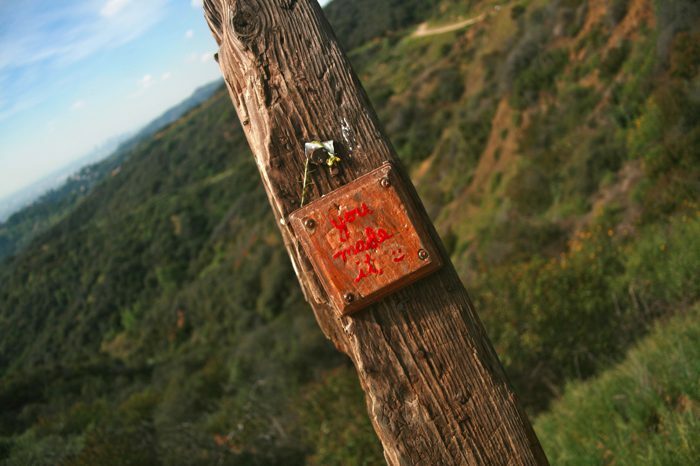 You will be walking up for the next two miles and this is by far the hardest part of the hike. Take your time and enjoy the changing views. 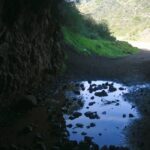 Make sure to pack a lot of water if it is a hot day as there is almost no shade, a better hike to do during the cooler months. 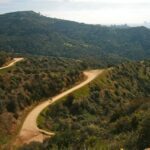 The trail will flatten out for a while after the initial climb and then it will dump you at a paved road. 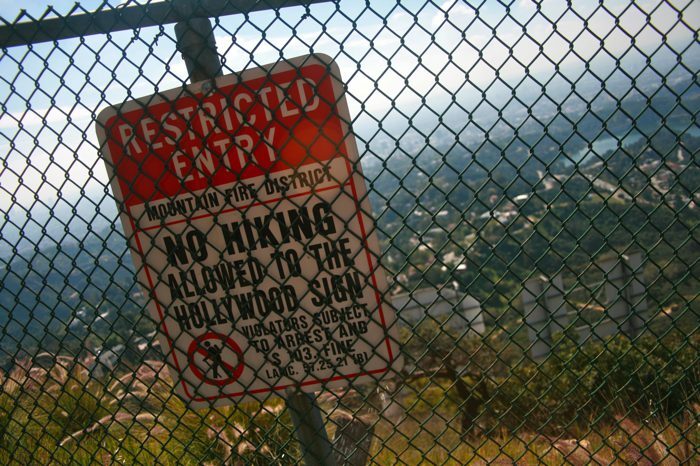 From here you can go to the left and get good views of the Hollywood Sign as seen below, or proceed right and make you way up to the top. 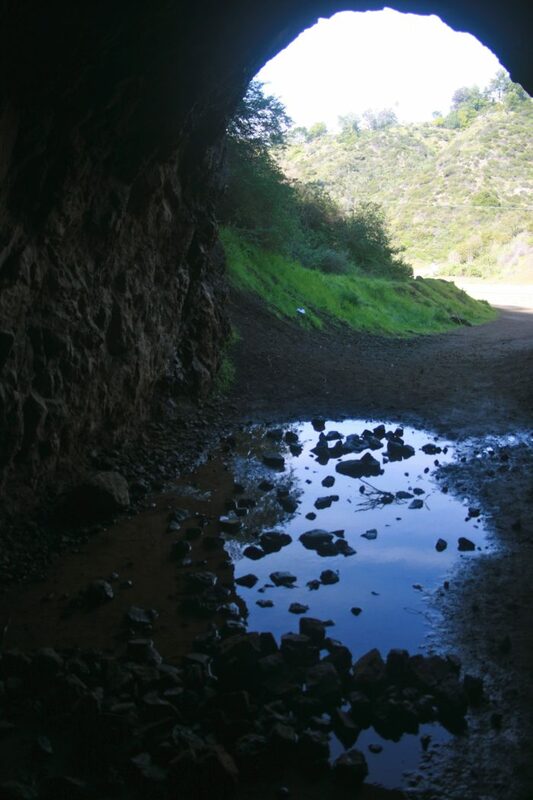 This is also where the easier hike starts to the sign but you miss seeing the Batcave if you go this way. 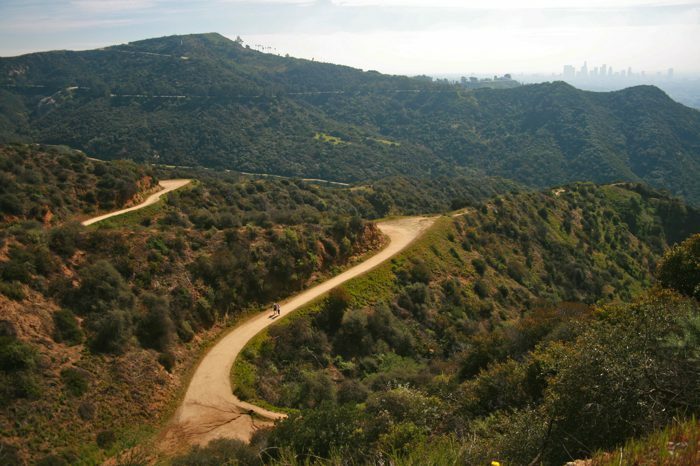 After proceeding another half mile you will find yourself at your destination behind the Hollywood Sign. Unfortunately this is as close you can get to it and I recommend taking pictures through the gate to get a better angle. 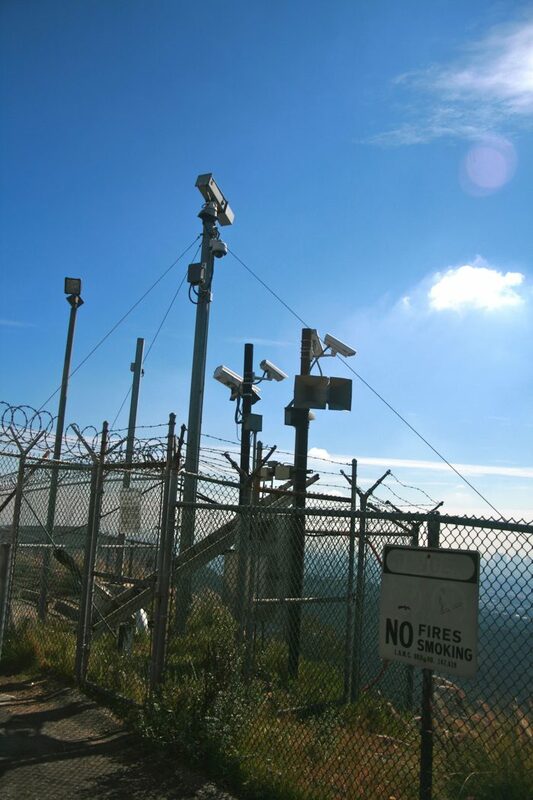 The sign itself has like 10 cameras watching every angle so I would not suggest trying to sneak in as it is heavily watched. 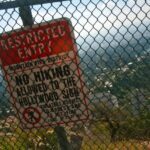 You can however, proceed to the little hill behind it and get a great panorama view looking down on the city and the sign. You can even update your Facebook to tag yourself at the sign if you are into that. From there simple proceed back down the way you came, watch your step though it can be kinda steep going down. 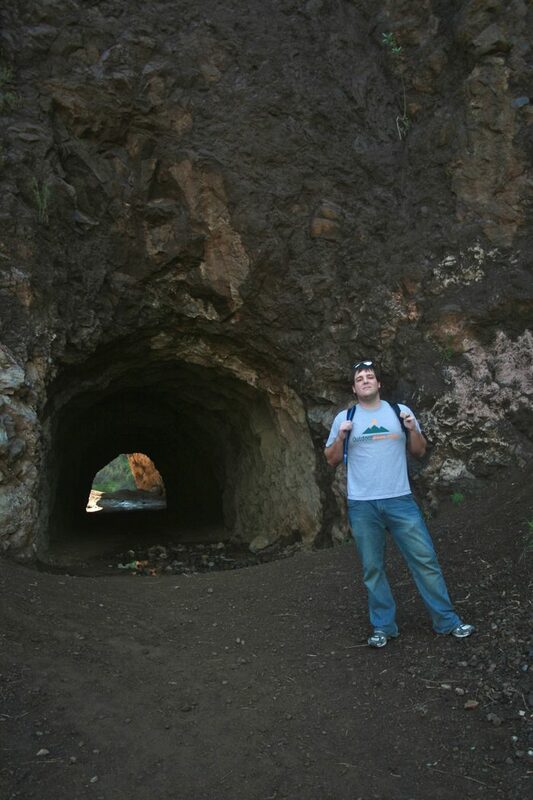 If you hiked from the Batcave then you will have done about 7 miles by the time you are done. 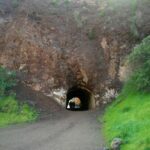 I highly recommend adding this hike to your list. It is a quintessential view of LA history. 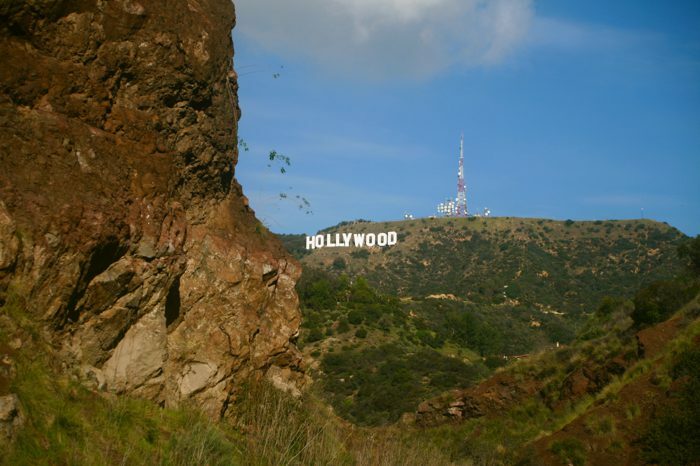 It shows the Hollywood sign, from an angle that you never see and lets you get close to this iconic landmark. Here is a panorama I took as well click to see it full. 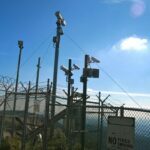 I am glad it has so much protection as I am sure people would mess within if it didn’t like many of the other deteriorating parts of nature in California. 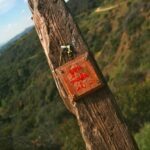 Check out the rest of the pictures and get directions below, and congratulations, you have made it to the Hollywood sign.